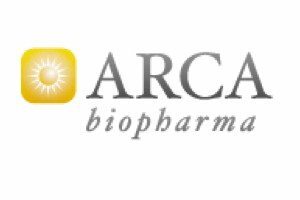 ARCA biopharma announced today it will try to raise $20 million in an equity offering to stay afloat while it continues Phase 2 and 3 trials of its treatment for atrial fibrillation. The Broomfield, CO-based company (NASDAQ: ABIO) is small pharmaceutical developer focused on genetically targeted therapies for cardiovascular diseases. Its lead product is bucindolol hydrochloride (Gencaro), a beta-blocker and vasodilator. ARCA is placing its hopes on the sale and the success of bucindolol. According to ARCA’s SEC filings, if the company can’t raise the money it will run out of cash and cease operations by Sept. 30. The company also has faced delisting from the NASDAQ, and in March it executed a 1-for-6 reverse split of its common stock. As of Thursday morning, ARCA had a market valuation of $5.1 million. ARCA stated the pricing of its shares and details of the offering Thursday in an SEC filing. ARCA will sell to investors a total of approximately 125,000 shares of Series A Convertible Preferred Stock together with warrants to purchase approximately 6.25 million shares of common stock. ARCA wants to net $18 million from the offering. It will use the money to fund the Phase 2b portion of a trial that will compare bucindolol to the beta-blocker metoprolol CR/XL as a treatment for atrial fibrillation in patients with heart failure and left ventricular dysfunction. ARCA said it believes it has identified common genetic variations that predict individual patient response to the drug. That would give it the potential to be the first genetically targeted treatment for the prevention of atrial fibrillation. ARCA also will use the funds for general operations. Dawson James Securities is the sole placement agent for the offering. It is scheduled to close June 4. Because the new share offering will dilute the value of existing shares, ARCA stock tumbled today, predictably, to $1.59 a share at 2:52 pm ET after the announcement. That represented a more than 30 percent drop from yesterday’s close of $2.30.